Join TAP-Chicago as we support Northwestern TASC and PAPhi as they present their annual Spring Speaker: the Fung Bros! Andrew and David Fung are comedians who create YouTube video blogs and music videos. With over 800,000 subscribers and more than 80 million views, the Seattle-born duo are well-known for cracking jokes about young, Asian American identity. The event will be on the Northwestern University Evanston campus in Fisk 217 on Friday, April 24th from 7 pm to 9 pm. Admission is free and open to the public. Parking in most campus lots is also free! The closest parking is the South Campus parking structure, across the street from Fisk. Following Sheridan Road north, there will be a fork in the road that directs toward the arts circle, i.e. the Segal Visitors Center. Taking that fork and driving just past the Segal, there will be two parking structures on the right. The Fisk building is across Campus Drive from the parking structures. The blockbuster Taiwanese film KANO is coming to Chicago! The Chicago premiere will include a discussion with the director and producers of the film. Tickets are currently SOLD OUT, however, thanks to a generous donation by Russell Wu, TAP-Chicago has a limited quantity for TAP-Chicago members. All proceeds from ticket sales will support an Asian American arts charity. Don’t miss this last chance to get tickets to see KANO! 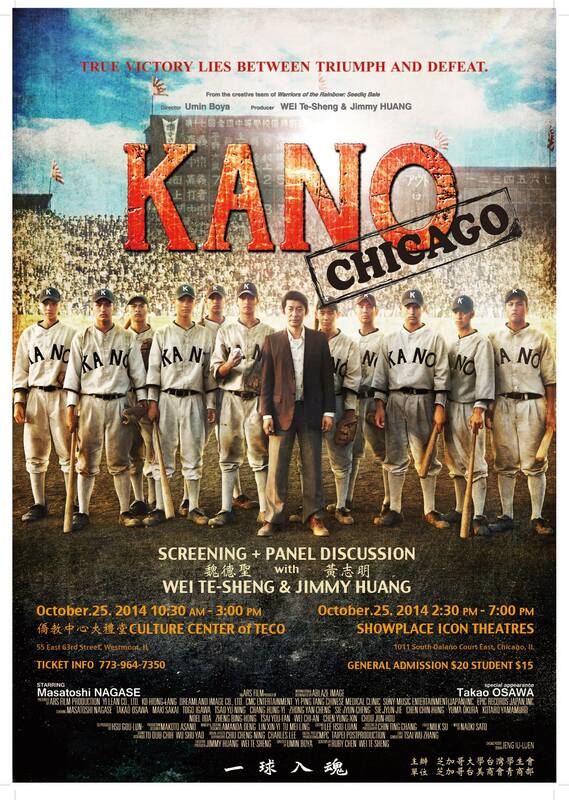 Kano is a 2014 Taiwanese baseball film directed by Umin Boya and produced by WEI Te-Sheng and Jimmy Huang. It depicts how the multiracial Kano baseball team from southern Taiwan overcame great odds to represent the island in the 1931 Japanese High School Baseball Championship at Koshien Stadium, when Taiwan was still under Japanese rule. Performing beyond all expectations, the underdog team advanced to the championship game in the tournament. Are you tired of always traveling to the city to attend TAP-Chicago events? We have just the remedy for you. Join us at Asian Bistro in Arlington Heights! 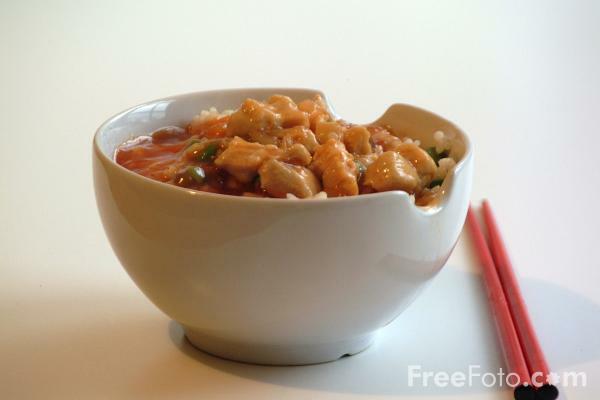 Modern, contemporary environment, Asian Bistro welcomes people to enjoy their home-style cooked meals. Specializing in Szechuan and Mandarin Cuisine, people all over town give their taste buds a delight whenever they dine here. Who: for those of us who work/live in the suburbs and you city people, if you wanna join us!!!!! Why: For food and laughs and making memories! How much: ~$20/person (without drinks). Price also depends on how many people come and how much we order. Everything comes in family-style servings so be prepared to share!